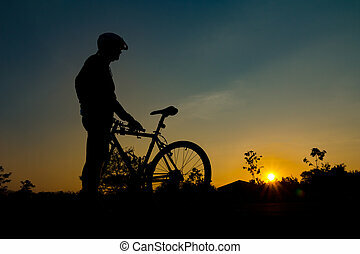 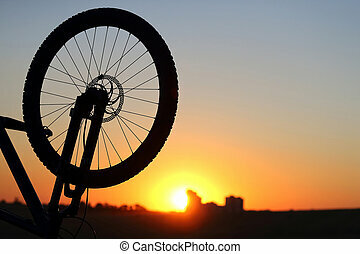 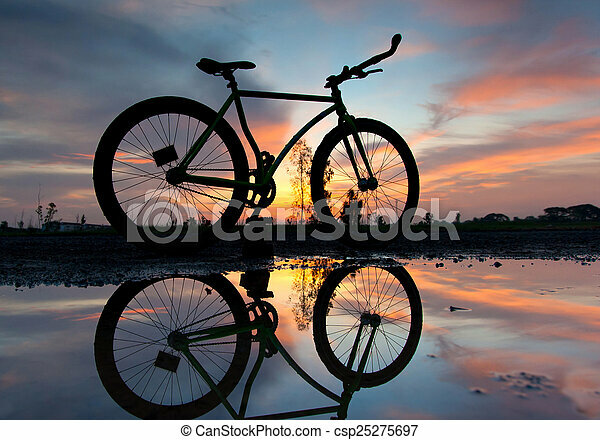 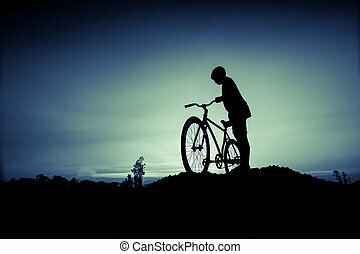 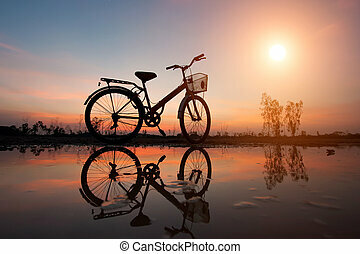 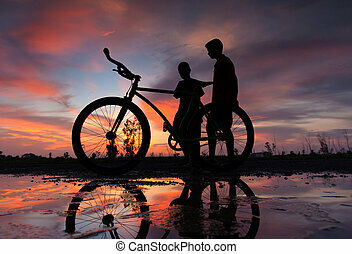 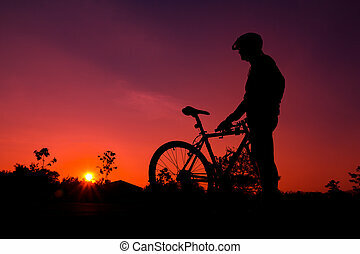 Silhouette of a bicycle at sunset. 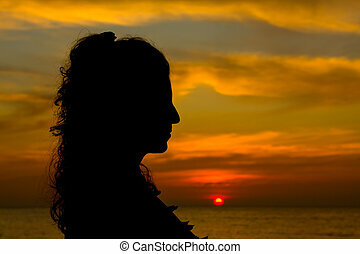 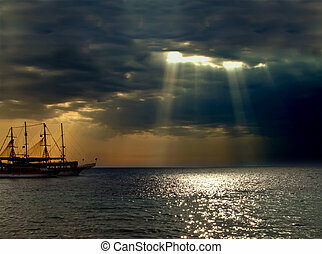 silhouette of a ship at sunset. 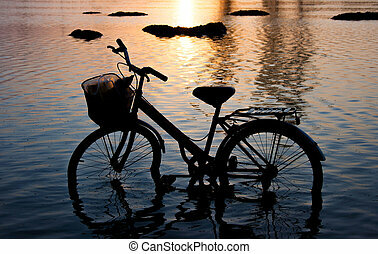 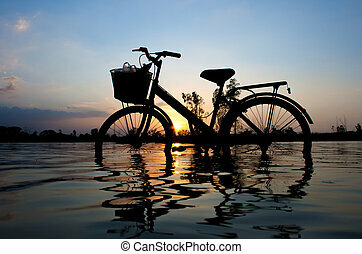 bicycle silhouette standing in the water at sunset. 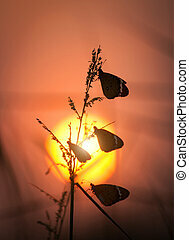 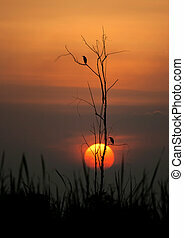 Silhouette of butterfly group sitting on wild grass at sunset. 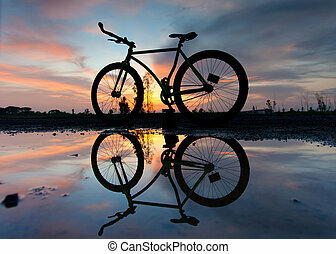 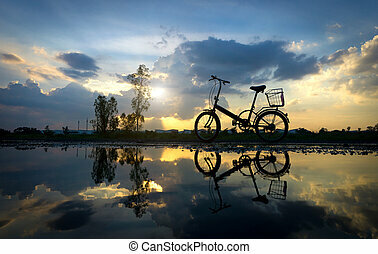 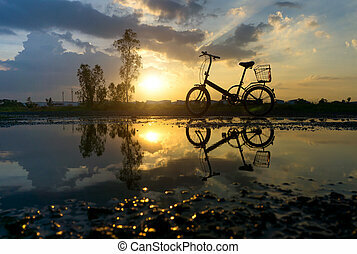 Black silhouette of a bicycle parked on the waterfront and reflection during sunset. 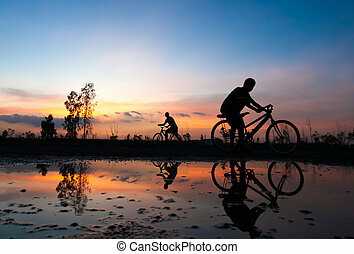 Reflection of Silhouette bicycle park on the waterfront. 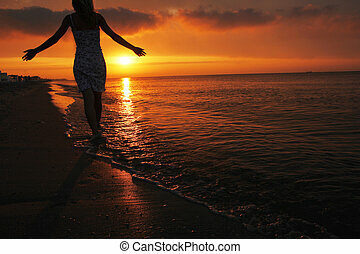 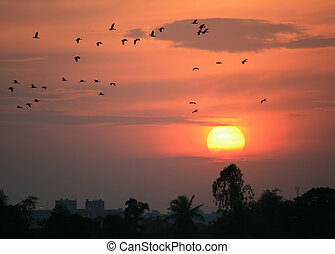 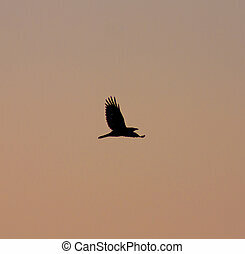 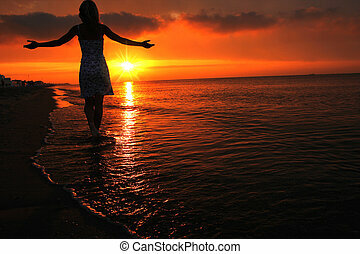 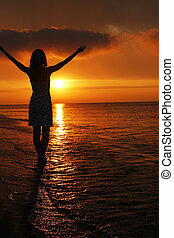 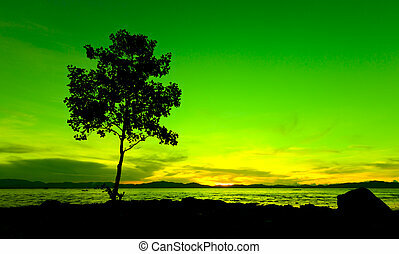 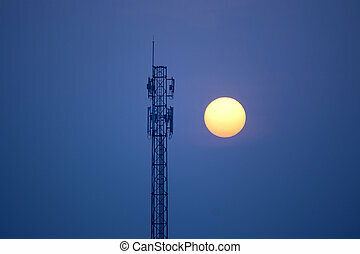 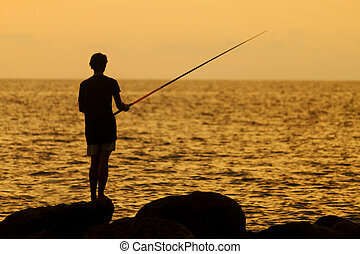 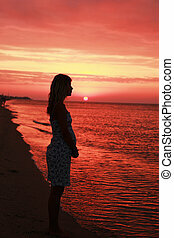 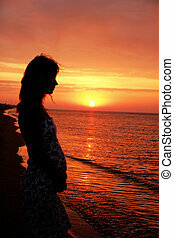 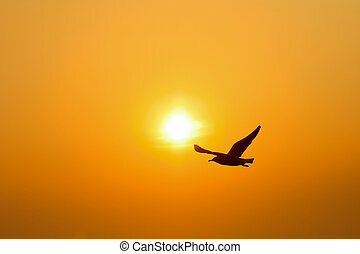 At sunset time in evening.